Leather sofas are valuable items which require special cares and professional cleaning. The two main reasons for getting damaged are long use and regular applying of improper cleaning methods. Instead of risking to make your sofas cracked, brittle and peeling you can use our effective leather cleaning which we provide in Acton W3 to domestic and business estates. Our staff are trained to sanitise leather sofa sets by performing the most suitable method for sanitising depending on the type of the furniture. Get in touch with our company to book the sanitising of your leather sofas after their inspection and preparation of quotes. 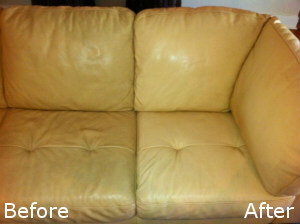 Use our leather cleaning services which we provide in Acton to residential and commendable estates. Our cleaning staff are qualified and trained to sanitise all kinds of leather sofas: aniline, semi aniline, wax and oil pull up, pigmented and other. They check the sofas in advance and choose the preparations, tools and detergents they will need for cleaning it. We provide cleaning of finished leather types using special foam detergent that is applied on the fabric with a soft brush and a clean cotton cloth. Our staff carry out dry cleaning on unfinished leather. The detergents which they use can’t be found on the markets. Take advantage of our professional services to maintain the leather sofa sets in your property in good condition and use them long time. Our staff perform highly effective dry and foam cleaning of leather sofas which guarantee complete removal of the grime and blemishes without harming the furniture fabric. Get in touch with us to schedule the leather cleaning which you need in Acton or nearby and the results will impress you. 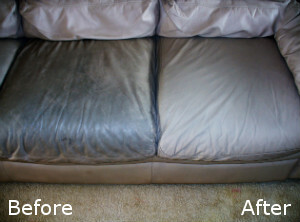 We offer applying of protecting detergent on leather sofas against future stains and dirt. Copyright © 2015 - Cleaner Acton.